The main feature of this excellent Otoscope of Heine is the Fiber Optic Illumination system wich brings you a very bright illumination and an anunobstructed view of the ear canal and tympanum. 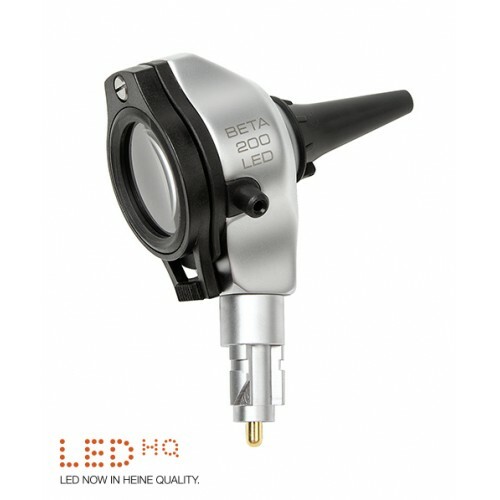 The BETA 200 Otoscope of Heine has been designed with an all metal housing for a long life. Also the glass window has been constructed with an special scratch resistant glass wich guarantees a lifetime of mantenance-free use. This viewing window is permanently attached, and swivels for instrument use and complete cleaning of the instrument head. 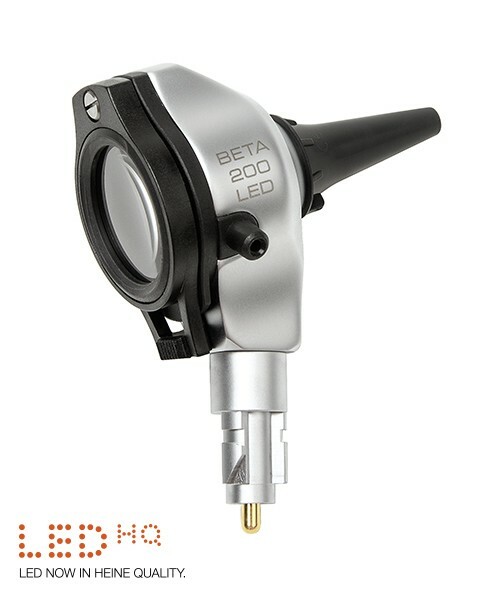 The BETA 200 Otoscope use an special LED light with unlimited hours of working life (up to 100,000 hours) with no need replace bulbs. The integrated insufflation port offers a clear tympanic mobility testing without air leakage.